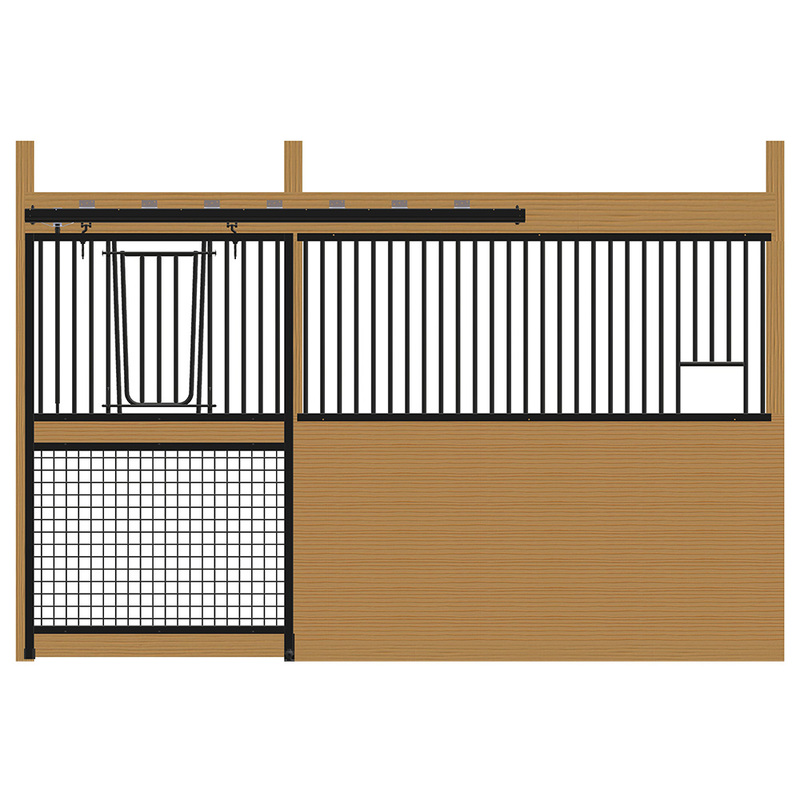 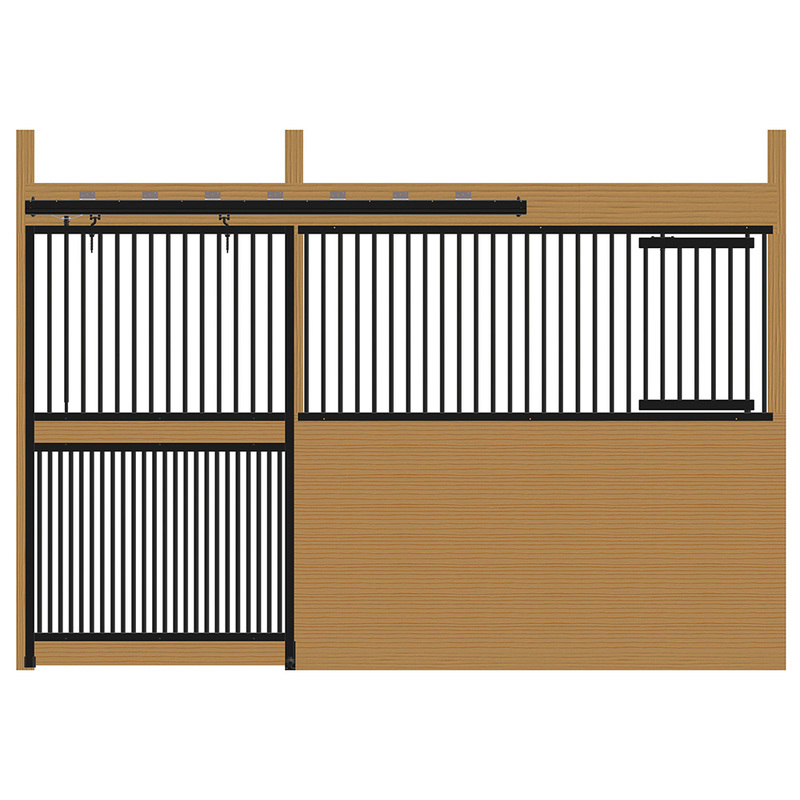 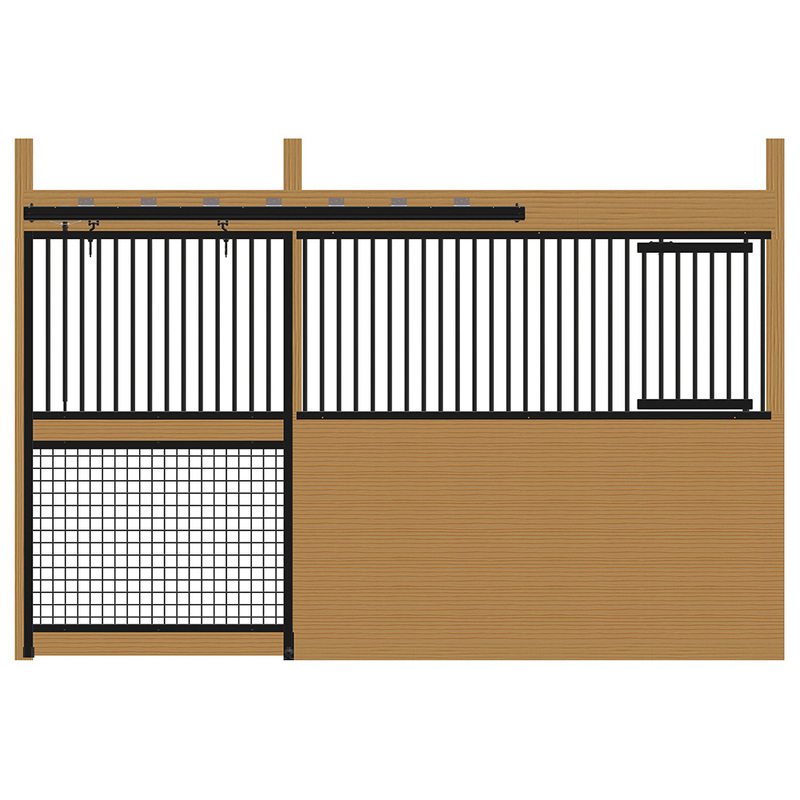 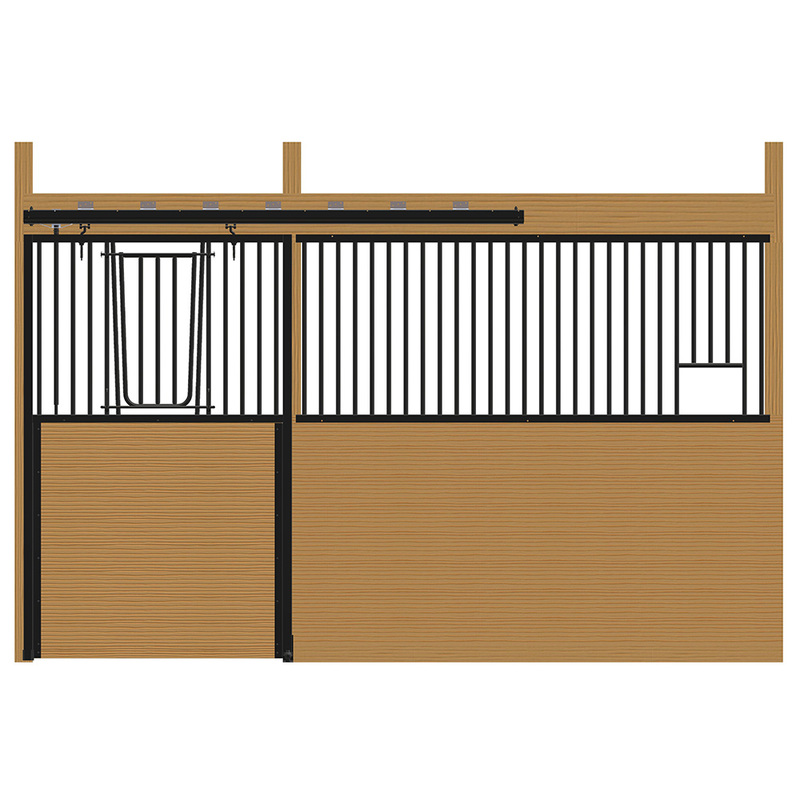 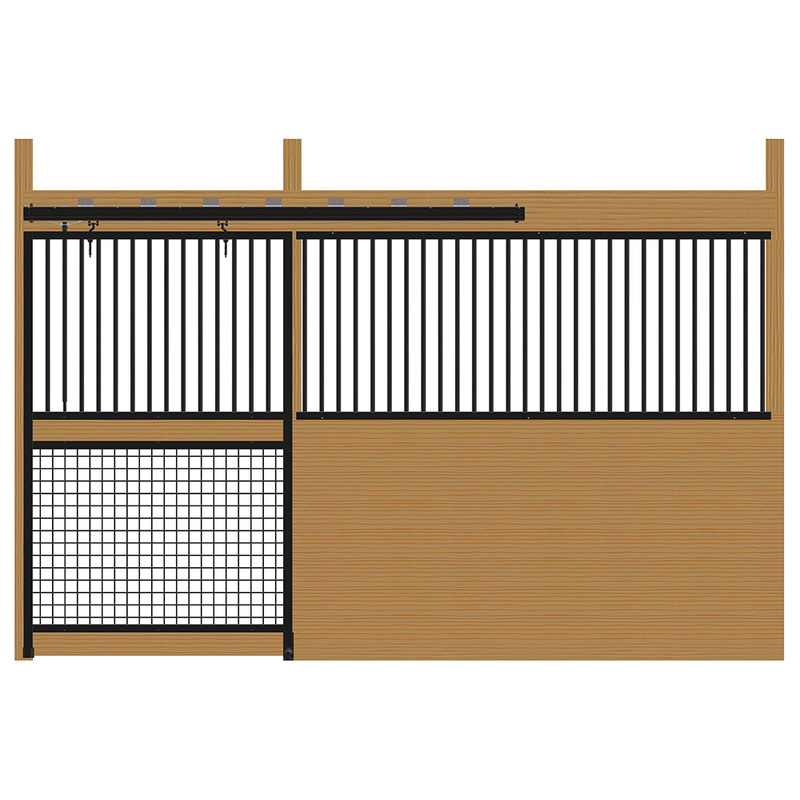 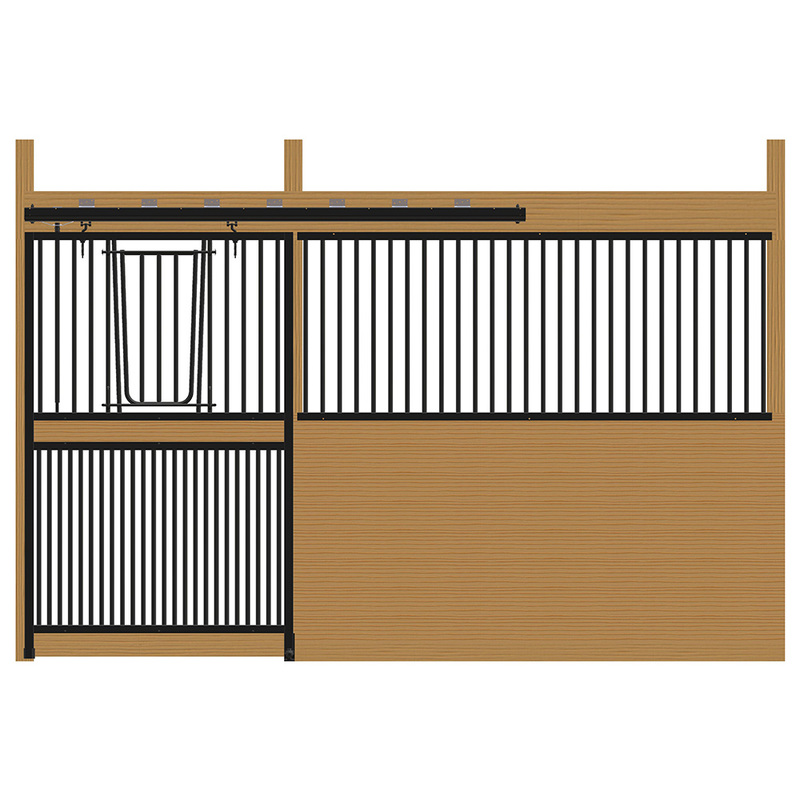 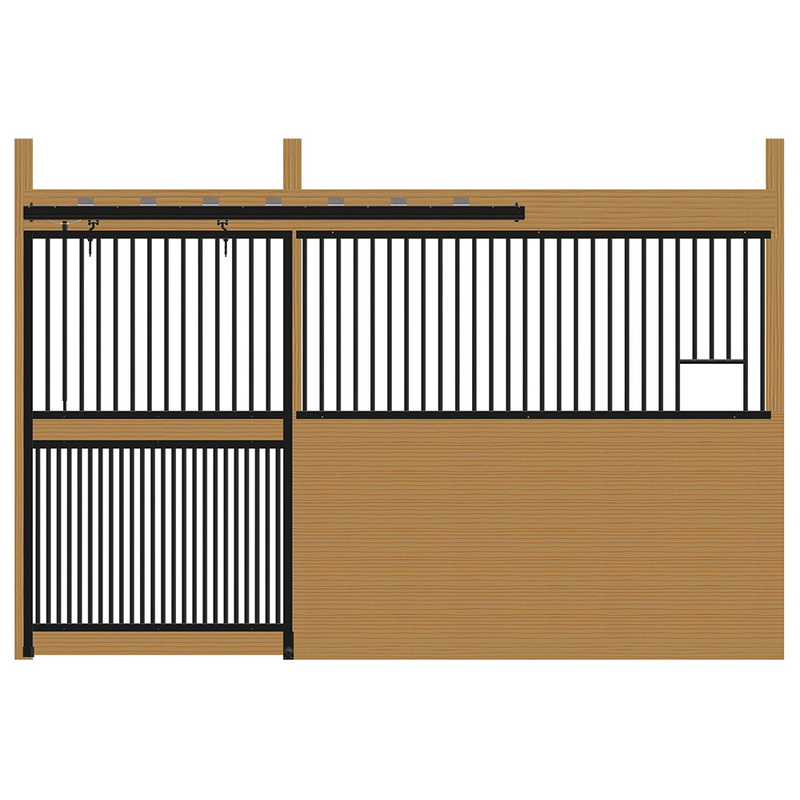 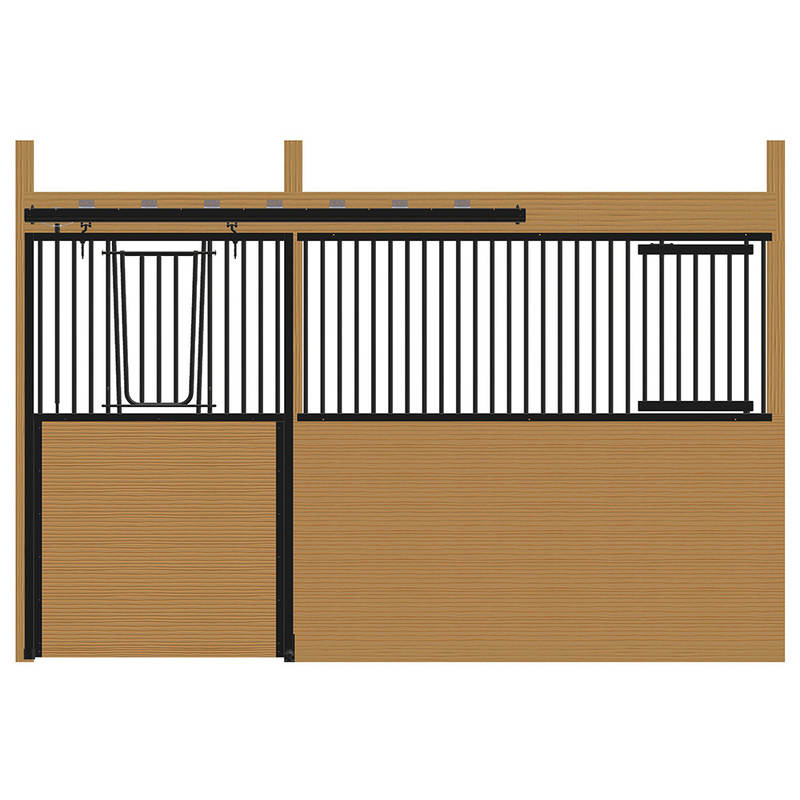 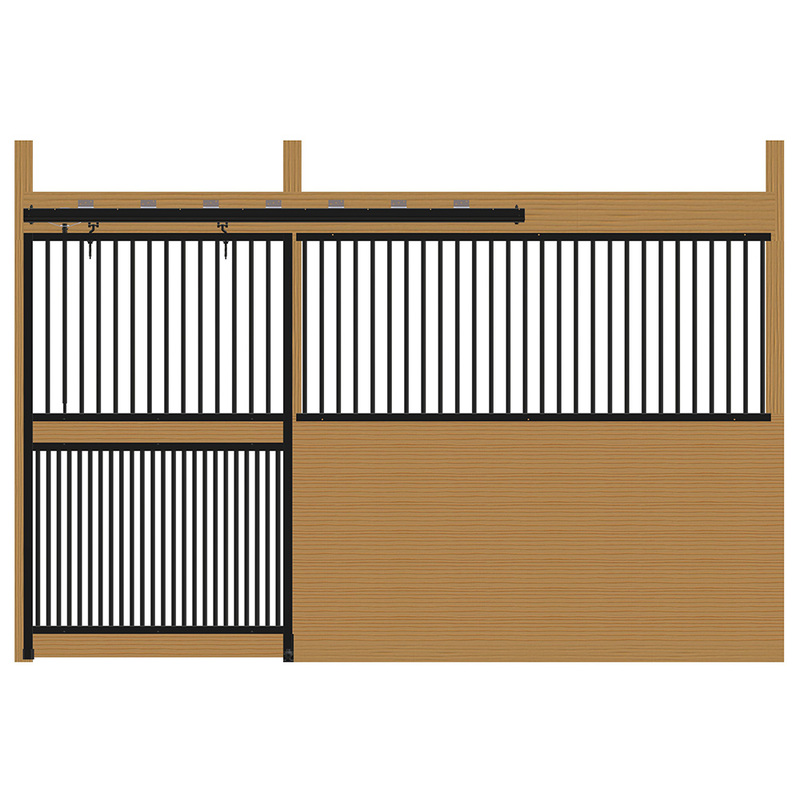 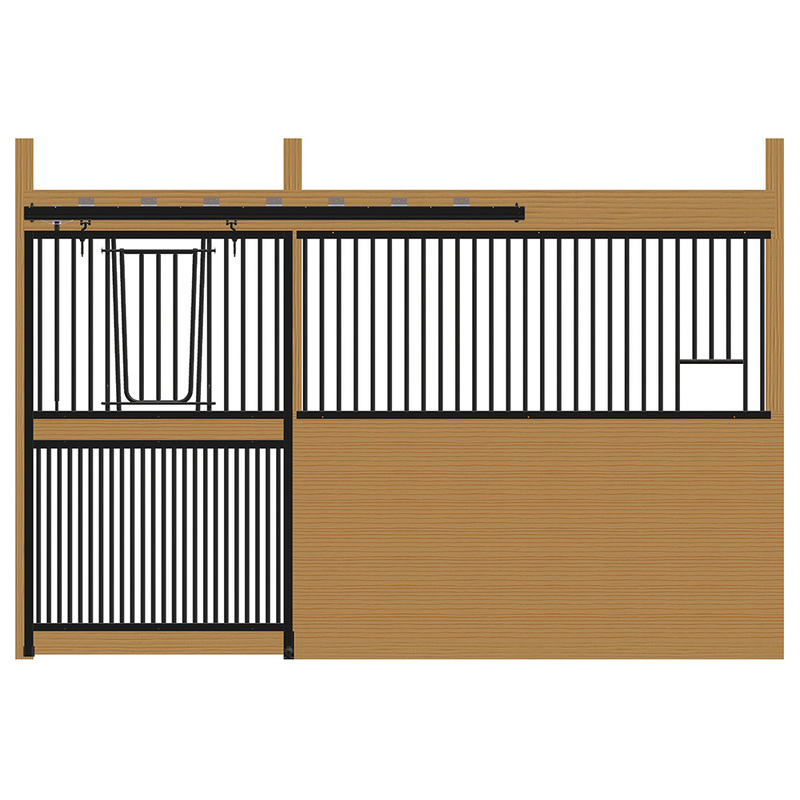 The Cambridge stall is a fully welded horse stall system at a competitive price point. 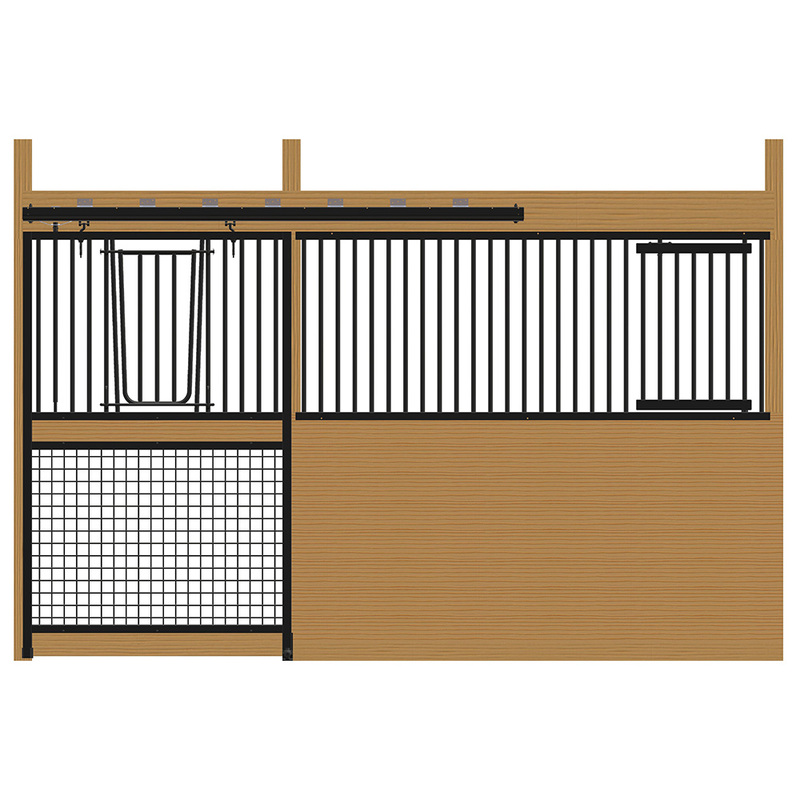 Featuring a sleek black powder-coat finish and easy installation, it is a favorite for builders. 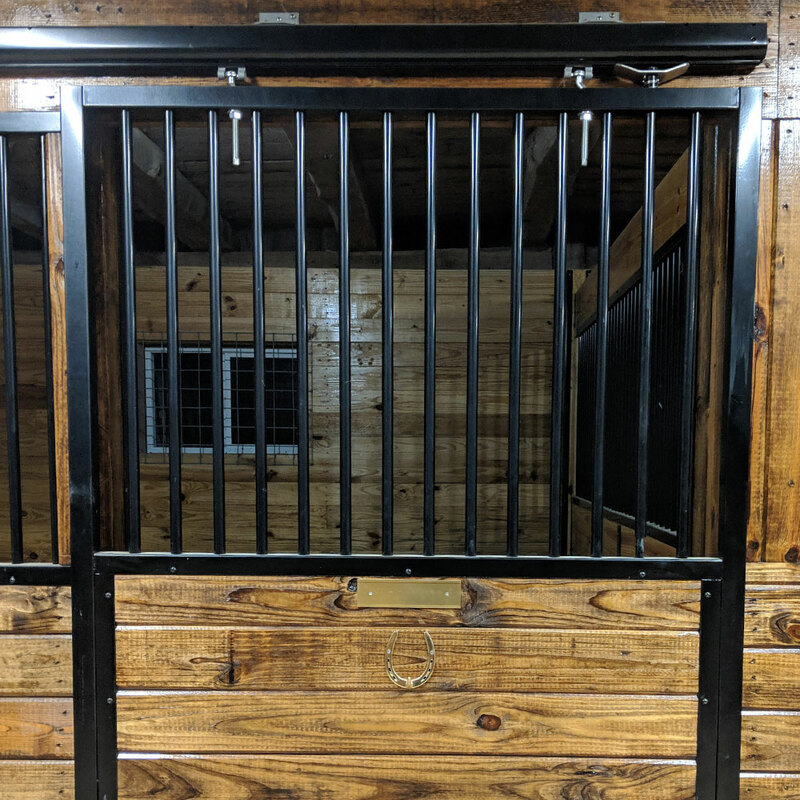 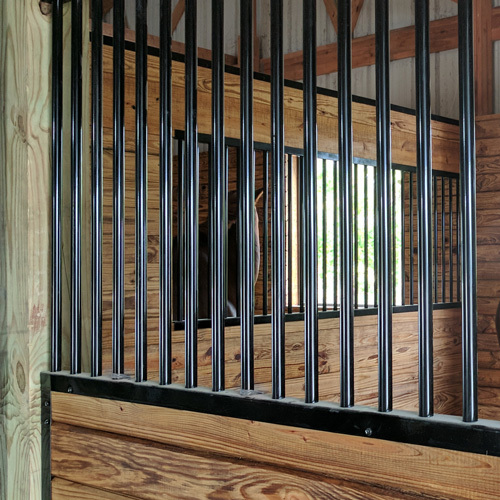 The Cambridge horse stalls feature closer bar spacing, fully welded doors and grillwork, customization options, and many more improvements! 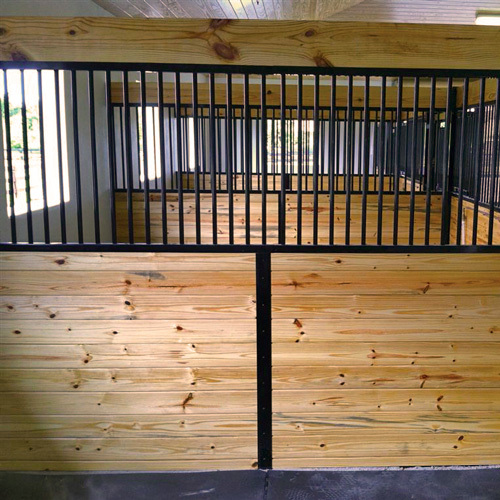 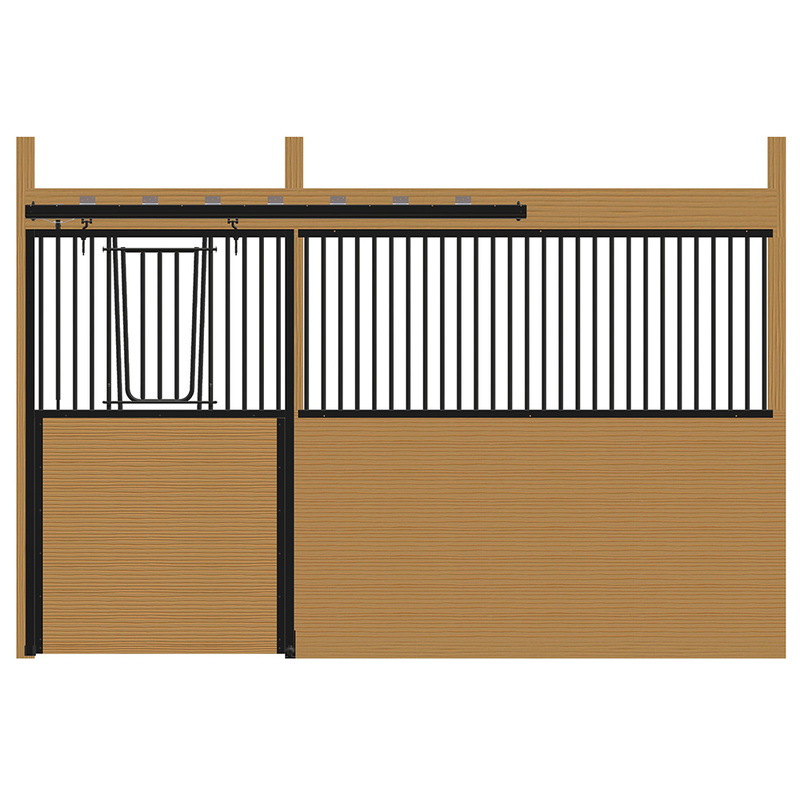 Additionally, our Cambridge horse stalls feature our new "One Touch" sliding track system! 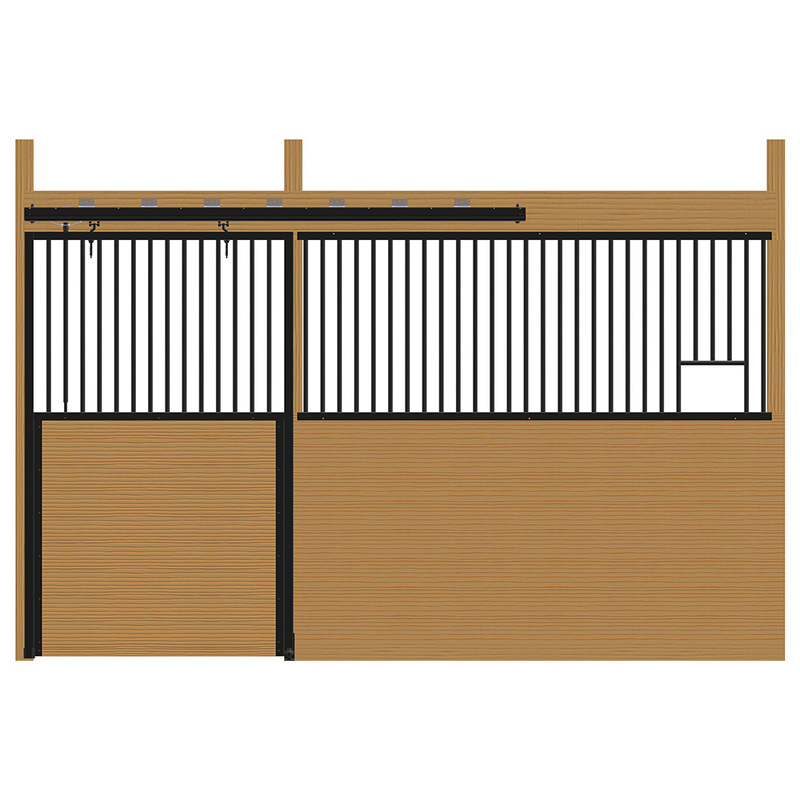 The track is more of a teardrop shape rather than round. 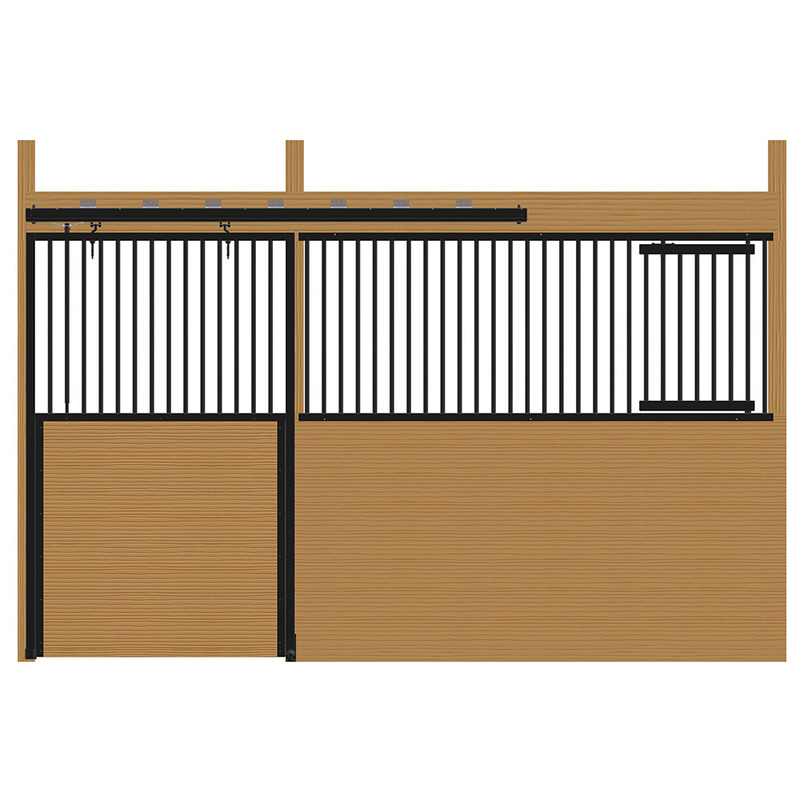 The unique profile has a square side allowing the track to firmly and squarely mounted, while the rounded bottom profile allows for self-cleaning and self-aligning. 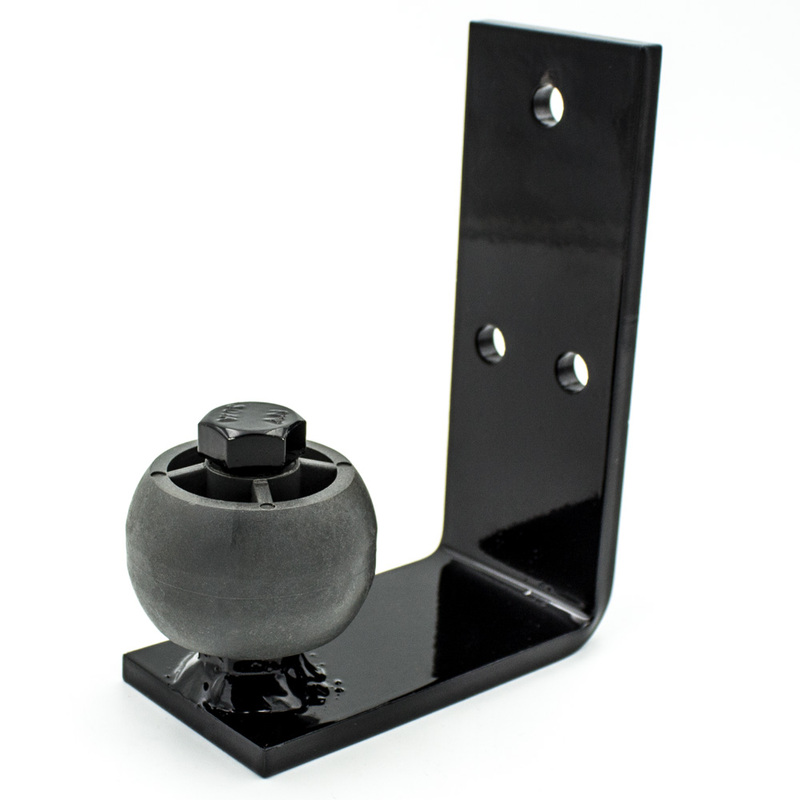 There is an additional lip at the bottom adds more strength and stability to the system and the trolleys have two rugged nylon wheels that have sealed and greased bearings to ensure smooth operation for years!